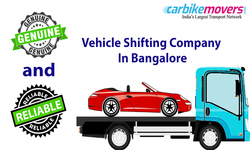 We are India's largest transport network with an updated list of over 500 shifting companies, including car shipping in Bangalore and bike shifting companies, and we can help you find the best car transport services any time. On our website, find vehicle movers and car shifting companies easily by filling in our inquiry form stating your specific needs. While you access expert advice and check through our testimonials to find the best car transportation in Bangalore, our team will get back to you with suggestions for vehicle relocation services. You can get quotes from each of the suggested companies and ask questions to get an idea of what bike shifting or car relocation entails, and then choose one for relocating your car, bike, scooter, or any other vehicle. Bengaluru (Bangalore) is often called the Silicon Valley of India, given that technology first began mushrooming in the city, and it happens to be one of those cities where people flow in and out at a steady pace. We know packing and moving is not an easy job. You could do the household shifting on your own or employ professional transport services. However, if you have a vehicle, get it done only by the best vehicle transportation services in Bangalore. Yes, you could do it yourself and cut back on the initial costs, but in the long run, experts in vehicle shifting for moving your car, bike or scooter can save costs like worn out tires, overheated engines, or a huge bill for fuel consumption. There are probably as many packers and movers in Bangalore as there are tech companies, but how do you know which one to employ? After all, your car or motorbike or any other vehicle is very precious to you, and also quite expensive, and you want hassle-free service from trustworthy car shipping companies. Looking to relocate from Bengaluru, or to India's tech hub? Packing and moving are hard and excessively exhausting- but there are professional packers and movers out there who can help you with your shifting needs. But so are fraudulent companies. How do you choose to hassle-free shifting services in that case? 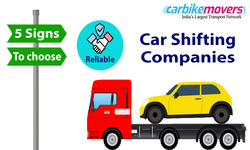 Especially when it comes to choosing hassle-free car shifting Bangalore companies? Tell carbikemovers.com about your shifting needs, and we will have you covered. Carbikemovers.com is a database, a list of over 500 such shipping companies. You may be able to do household shifting on your own, but what if you have a car or a motorbike or any other vehicle that is not only expensive but very dear to you? You would want it to leave your old home and arrive at your new one just the way it is- no dents or scratches, no worn out tires, no reason to complain at all. Unfortunately, if you relocate your car or another vehicle yourself, Car Transportation in Bangalore can cause damages to the vehicle being shifted. 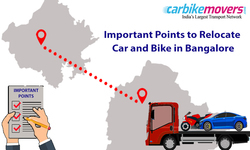 Carbikemovers.com operates on a few simple points to help you choose IBA Approved car transport in Bangalore, shifting, scooter relocation, or any other vehicle shipping services. Simply fill out the inquiry form on our website, and we will get back to you with suggestions of IBA approved car shifting companies that best suit your needs. Each of these vehicle shipping companies provides free quotes, and you get to choose hassle-free car transport company or vehicle relocation company services from a shipping service that is verified, professional, and cost-effective without compromising on quality, safety and security. It is true that relocation is a very complicated issue. It needs shifting of materials, goods, and man himself from one place to another. And this is why you need IBA approved car transport companies professionals for easy and safe shifting. It is important to choose IBA to approve car transport companies. The IBA approved car transport companies ensure no damage and no hassle. •The IBA approved packers and movers are registered and very much trustworthy. The IBA approved packers and Movers are verified and checked by the Indian government. You will also get a proven track record and real-time review about IBA approved car transport companies from customers. •If you look for IBA registered car transport Bangalore companies, you will get the option to file claims easily in case of any unfortunate events or mishaps. The banks hold guarantees for these companies. So, you will have assured claims. •The IBA approved car transport Bangalore companies have extensive networks and the companies can take you anywhere in the country you want. Since these car transport, Bangalore companies are guaranteed by banks, these are professional companies accompanied by a variety of trucks for different purposes. 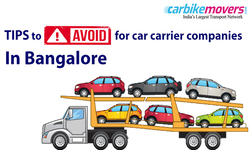 •The Car Carriers Services in Bangalore makes use of the best quality packing materials. Thus, there are very fewer chances that your valuable articles will get damaged in the way of transit. 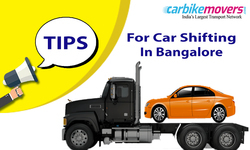 One more advantage of the IBA approved Car transport Bangalore is, a single company can offer you home shifting, car/bike, office goods, packing, loading, unpacking, electrical goods assembling and unpacking them and household shifting too. So the IBA approved packers and Movers reduces your headache of contacting different companies for different purposes. How can I Shift my Car from Bangalore to Delhi? • Enjoy hassle-free car transport from Bangalore to Delhi. How much does it Cost to Chip a Car across the Country? As mentioned above, the type of car to be shifted along with the distance it has to be moved to determine the tentative car shipping cost. How much does it Cost to Ship a Car from Bangalore? In addition to the above factors, the type of carrier used to ship a car will determine the cost of car transport. If an enclosed carrier is used for car shipping then charges will be higher. An open trailer used for car shifting will be a cheaper mode. Can I move my Car from Bangalore to Pune? 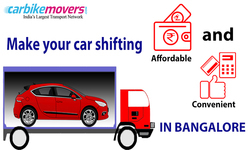 With carbikemovers.com, you can shift your cars from Bangalore to any part of the country. 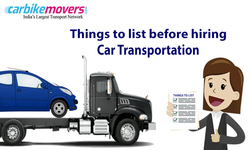 Our resourceful and IBA approved Bangalore car movers help you with this facility. How to easily Car Transport in Bangalore with affordable Price? 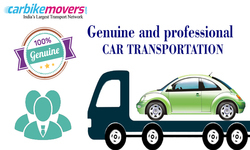 What is the Secret behind the Popularity of Car Relocation in Bangalore?